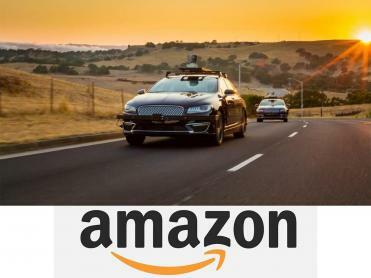 Aurora - a self-driving vehicle company, has secured a funding of more than US$ 530 million from Amazon and Sequoia among others. The company aims to accelerate the development of autonomous technology with the capital raised. While companies like Google (Waymo), Apple, General Motors (Cruise) and others have invested in autonomous vehicle technologies, Amazon has been absent from the scene. Last year, Aurora partnered with Volkswagen and Hyundai to develop a self-driving system for their vehicles. While Volkswagen plans to integrate the self-driving technology in its vehicles, Hyundai wants to commercialize level 4 autonomous vehicles (which can operate without human input or oversight under select conditions) by 2021. Aurora was founded in 2016 by three partners - Chris Urmson, Sterling Anderson and Drew Bagnell. Anderson had led Tesla's team that created the Autopilot system, while Urmson served as the Chief Technology Officer at Waymo (formerly Google's self-driving project). Bagnell was a founder member of Carnegie Mellon's Robotics Centre and Uber's Advanced Technology Centre.